This week sure has been crazy for weather. Early we had snow falling and today we have tornado watches. Never a dull moment up here in Wisconsin. 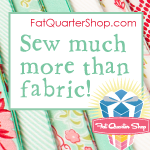 This week I started sewing again and almost finished 2 quilt toppers. I will have photos and tutorials ready in 2014. I have to say it was so relaxing to hear the hum of my machine again. I found some awesome collections to share with you this week from our lovely sponsor!!!! I love the look of fresh colors along with modern prints and textures. I thought the Ashley Newcomb's Blogger Choice Bundle expressed everything I love. Those greens and blue are so relaxing. I think this would make an amazing quilt for a bed at a beach house by the ocean side. OR on my bed up her in bitterly cold Wisconsin. haha Either way I think this collection just screams YUMMY!!!!! and I want some!!!!! This weeks Bargain Corner is a real winner in my household !! 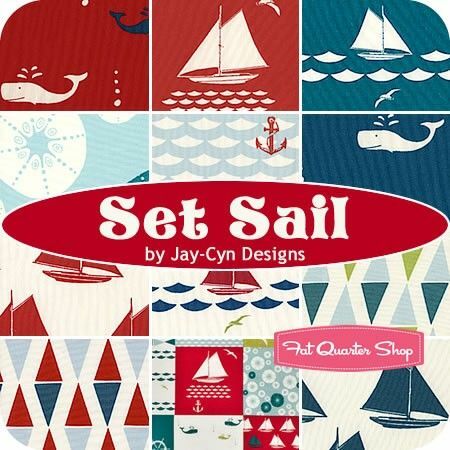 Set Sail by Jay-Cyn Designs is SEW SEA Worthy in my book. I would love to get this collection and make a great boat bag for all our Sundays out on the boat during the summer months. This collection is regularly $54.99 and is on sale for 50% off at $27.49.